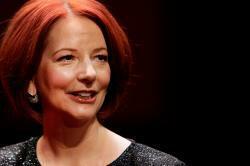 Julia Gillard on what it will take to educate every kid in the world? 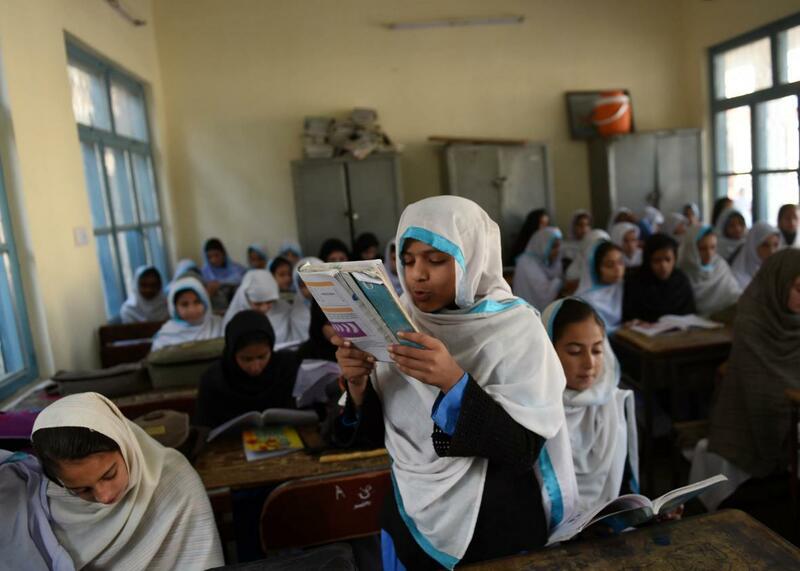 A Pakistani schoolgirl reads from a book in Mingora, Pakistan, in the Swat valley on Dec. 10, 2014. At the most recent General Assembly, the United Nations rolled out the new Sustainable Development Goals, an ambitious blueprint to eradicate extreme poverty by the year 2030. The SDGs replace the Millennium Development Goals that helped define the global development agenda for the past 15 years. One of those goals was to ensure universal access to primary education. Progress was impressive, but the goal was missed: Primary school enrollment increased from 83 percent in 2000 to 91 percent today. That leaves 57 million children still out of school. The new goals seek to finish that job as well as accomplish a few more ambitious tasks including universal secondary school education, universal access to early childhood education, and ending gender disparities at all levels of education. Getting there is going to take a lot of political will and a lot of money. I recently spoke with former prime minister of Australia and current chairwoman of the Global Partnership for Education Julia Gillard about how we’re going to get there. Gillard was Australia’s first female prime minister, serving from 2010 to 2013. (She demurred when I asked about her country’s recent political upheaval, saying she was “no longer in the business of offering commentary” on Australian politics.) The GPE, which Gillard now leads, is a coalition of government and NGO coordinated efforts on education access. She’s also a member of a new global education financing commission that includes several former heads of state. Gillard talked about closing the gender gap in education, the special challenges posed by the growing global population of displaced children, and how to sell foreign aid on the campaign trail. The Sustainable Development Goals include some very ambitious targets for education. What do you see as the main obstacles to achieving them? To achieve what we need to in education, we need extra money flowing from both developing countries themselves and from the global community. The estimates of how much extra money seem sort of eye-wateringly large—figures like $39 billion a year—but when you break it down, average cost of educating a child in both primary and secondary schools in a developing country is $1.18 a day. And developing countries are already funding around 88 percent of that themselves. So what we’re short per day per child is 14 cents, and when you think of it like that it seems a very doable task. I think it is. Looking back at the Millennium Goals, both what they achieved and where they fell short, what do you think needs to be different this time around? I think the approach is changing. When the millennium development goals were struck, I mean the world had never done that before, so inevitably there are going to be lessons learned along the way. Sequence-wise, when the world struck the MDGs, we really didn’t turn to the task of implementing and financing these goals until sometime later. On this occasion, the U.N. secretary general has sought to make them parallel discussions, rather than, you do one, then you do the other, then you do the third. And that’s why we had things like the financing conference this year. There’s still a great deal that needs to be done. But I think people have brought out of the Millennium Development Goals [a sense of] how vital it is to get on with the implementation task and be measuring it and being held accountable for it immediately. One area where progress has been frustratingly slow is the gender gap in education. [A recent UNESCO report found that after years of improving, progress on closing the gender gap has stalled since the early 2000s. One out of 10 primary school girls are out of school vs. 1 in 12 boys, with the disparity most acute in sub-Saharan Africa.] What do you think is holding us back from closing that gap? While this is a difficult challenge—making sure that the 62 million girls who are out of school get to go to school in quality schooling—it’s not an impossible challenge. You think about a country like Afghanistan, which still has so many development and peace and security challenges, yet even in a nation like Afghanistan, they’ve been working with us as a partner country since 2011—they’ve got a plan for schooling, more than 40 percent of children in school are girls, more than 30 percent of the teachers are women. The two are correlated: Families are more likely to send their girls to school if their girls are going to be taught by a female teacher. And so you do and can see change. And if we know we can make change then I think that gives us the confidence to keep working with developing countries on this path. Yes, there are cultural barriers to sending girls to school in some places, but in many parts of the world it’s simply poverty that is holding girls back. Families have to make hard choices, because they are so poor. And when they do make hard choices they are more likely, if they send anybody to school, to send their sons. We know that you can change that economic equation through school feeding programs—if you send your girl to school she’ll get enough calories in for that day. We’ve also engaged in some cash incentive programs to send girls to school. So there are mechanisms that can change the economics of very poor families so they see it as in their interest to get their girls educated. The evidence is absolutely clear that educating a girl will mean she’s less likely to marry young, she’ll have fewer children, and she’ll have them later in life. Her children will be more likely to survive infanthood, they’re more likely to go to school themselves, and she’s more likely to be able to earn money for the family. So for the long-term future of the family, educating a girl makes real sense. There’s been a lot of buzz lately about the spread of low-cost private schools catering to the poor in developing countries, especially in areas where state capacity to educate is weak. Do you see private schools playing a significant role in achieving the goal of universal education? For me personally, what I would say is that universal access has to mean universal access, and we’re only going to get there if there are strong public sectors providing free schools for people to send their kids to. Many of the countries where the number of children are out of school are, not coincidentally, countries where there’s a lot of armed conflict. [UNESCO reports that Pakistan, Nigeria, and Sudan have the highest number of children without access to education, though a number of countries including Afghanistan, Somalia, the Democratic Republic of the Congo, and Syria weren’t included due to lack of data.] Assuming we don’t achieve world peace in the next 15 years, is it really realistic to assume we can achieve universal access in these places? I’d give two answers for that. We at the Global Partnership for Education are working in environments like South Sudan, so [are] well aware of what’s been happening there. There are ways of working even when there is a great deal of tension within a country. We do, as a global community, though, need to think more clearly about how we’re going to meet the needs of children who have been displaced by conflict. I’m thinking here of the Syrian children that we have seen fleeing in large numbers into Turkey and Jordan and Lebanon. The world has made some endeavors to work with governments like Lebanon to make schooling available for those children. But I think there’s more we need to do to address what are clearly gaps in our current humanitarian and development responses that mean these children fall through the cracks. Given the unprecedentedly large number of displaced people in the world right now, what particular challenges do refugee children pose? This is a huge challenge for the whole world that we’re seeing. More refugees, more people on the move than anytime since the aftermath of World War II. It challenges education at several levels. Syrian children, before the conflict started, had a pretty good education system. These were children that were used to going to school. Then, conflict breaks out and then they find themselves in a makeshift accommodation in Lebanon, to give an example. So the international community now has to support the government of what would normally be considered a middle income country because it suddenly has to cater to the needs of hundreds and hundreds of thousands of refugees, including refugee children. I think we need to think about that question as how do we make sure that we do this systematically in the future instead of having to build it from the ground up each time it happens. The other challenge is education for refugee children when they’ve made their home in a new country so that they get the skills and capacities they need to become active and effective citizens of that country. As I’m sure you’re aware, we’re entering election season here in the U.S. It’s always easy for candidates on the campaign trail to get applause by attacking foreign aid. As someone who’s been in that role yourself, how do you think leaders in rich countries can convince voters that these issues are a priority? As a former politician myself, I certainly understand what it’s like try to persuade people of the benefits of foreign aid, particularly in the aftermath of something like the global financial crisis. I know what all of those stresses are like. The evidence is very clear that educated people are more likely to support democracy, to find peaceful ways of resolving conflict, and to show tolerance to other religions. If we all aspire, as I think we do, to live in a peaceful and prosperous world, then we’re only going to get there if we’re educating the children of the world.